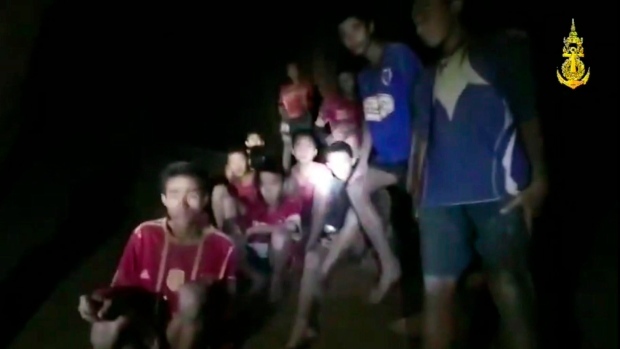 It was almost impossible not to follow the story of twelve Thai schoolboys and their soccer coach who ended up trapped in a cave system which filled with water. I assumed that they had drowned and the news that they had been found, relatively safe, was astonishing. Of course the drama was far from over and a daring rescue was undertaken after teaching these kids to use scuba gear and make their way through murky, confined passages. I shudder at the thought of it, but it would have been a glorious success if not for the death of a retired Navy Seal who worked to free them. We are learning more about the boys, a number of whom were Rohingya refugees now living in Thailand, Four, including the coach, are officially stateless. One of them, Abdul Sam-on is only 14, but he showed remarkable poise in these desperate circumstances. He is multilingual, including English, so acted as a translator between the other boys and the British rescuers in the days before they swam to freedom. Abdul came to Thailand on his own, sent by his parents from Myanmar in the hope that he would have a better life. He was living in a community run by the Baptist church which supports refugees. The coach of the team was instrumental in the wellbeing of the boys as well, even though he'd led them into the caves. In his early twenties, he had trained as a Buddhist monk for a year and taught the kids to meditate to stay calm. For all the criticisms of religion we hear it is gratifying to know that faith and faith communities were part of the positive outcome in this dramatic situation.